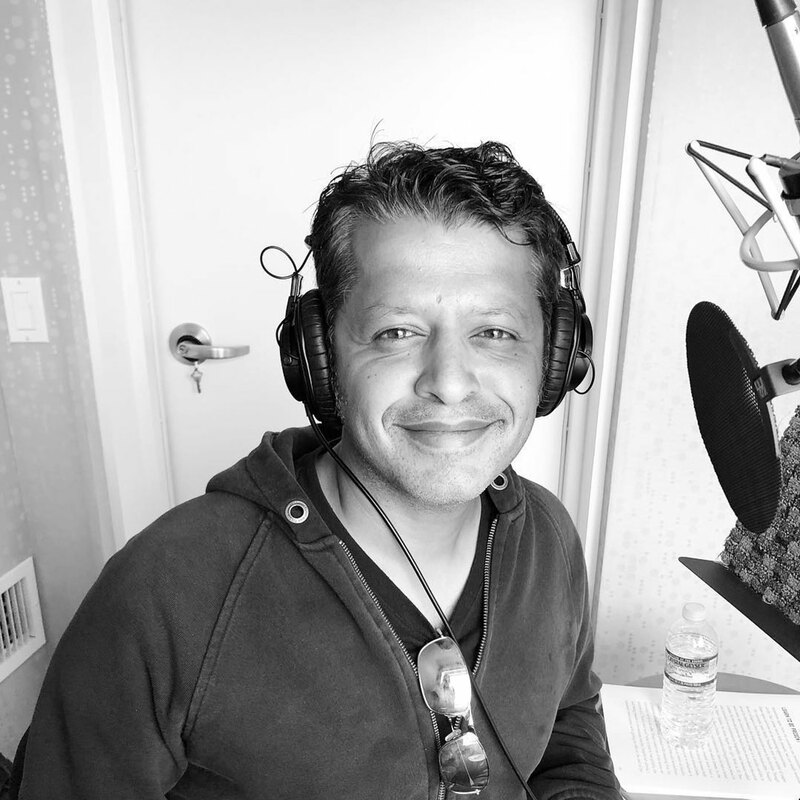 Srini Rao (@unmistakableceo) is the host and founder of the Unmistakable Creative podcast and author of An Audience of One: Reclaiming Creativity for Its Own Sake. How an ADHD diagnosis in his mid-twenties and the inability to hold down a real job forced Srini to develop his own tools and systems for harnessing creativity and boosting production. Why expressing your creativity on a regular basis — even when it’s done without the intention of reaching an audience or being commercially successful — can be incredibly beneficial to every area of your life. Research shows that being creative can actually make you happier, help you recover from trauma, and increase your productivity. How you can cultivate your own creativity even if you’re the type of person who thinks you don’t have any to begin with. Why you don’t have to be a creative genius or successful artist to take advantage of the creativity-happiness connection. Creativity is one of those black box topics that sometimes doesn’t even look like a skill. Are you born with it? Can you cultivate it? Why are some people so much more creative than others? What does being creative even mean in the first place? In this episode, Unmistakable Creative host and An Audience of One: Reclaiming Creativity for Its Own Sake author Srini Rao tells us not only how he decided to tackle these questions, but why he was forced to do so as he struggled himself to fit the mold of society’s expectations. Listen, learn, and enjoy! Privacy.com allows you to generate a new credit card number for every purchase you make online for the sake of worry-free security — and it doesn’t cost you anything! Want to find out why we use this incredible service ourselves? Sign up for free and get a $5 credit at privacy.com/jordan! 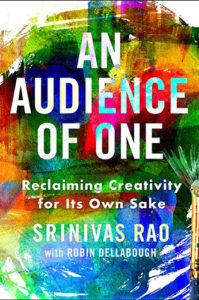 In his new book, An Audience of One: Reclaiming Creativity for Its Own Sake, Srini Rao extols the virtues of creating with the aim of self-satisfaction before all else. “It is an incredibly counterintuitive message,” says Srini, “particularly when we live in a world where every aspect of our humanity is quantified. We know how many friends we have on Facebook. You know how many likes you get on every post. You know how many followers you have on Twitter. You know how many hearts you get every time you post on Instagram. But when you look at really successful, creative people throughout history, one of the interesting patterns that emerged was that they made themselves the number one priority in their work. They made creating great work the priority and an audience of millions, paradoxically, was the by-product of focusing on an audience of one. The idea, at its core, is not to produce something of low quality that wouldn’t pass the muster of anyone but its creator, but to focus on creating something that’s so good other people can’t help but pay it heed. Oprah could have pandered to the Jerry Springer crowd for the sake of ratings when she began her talk show, but forging her own path in her own way won the race in longevity and legacy many times over. Being derivative of something that’s already proven successful in the court of public opinion may seem like a sure bet, but it doesn’t usually stand the test of time. Listen to this episode in its entirety to learn more about how Srini himself avoids creating these pale imitations, a unique spin on the interview-style podcast he’d like someone to create, why resisting metrics that rely on the approval of others keeps control in the court of the creator, the accidental path that led Srini to become a prolific content creation machine, how creativity can help you recover from trauma and increase productivity, what David Bowie understood about playing to an audience of one, and much more. Click here to thank Srini Rao at Twitter!